Recently in my work and frequency outdoors in this unbearably hot Florida summer, I've come to crave Gatorade in the afternoon. After an exhausting day in the heat and humidity I can come in and literally drink a quart in a single five minute break. This past week we had 98 degree days and 95% humidity. The cost of that refreshment and electrolyte replacement is usually $1.50 or more (per quart) cold from a convenience store or $1.00 if you have the forethought to keep some in the fridge you were able to buy on sale. With some online searching, comparing and modifying others research I developed my own recipe. It is virtually the same as Gatorade Recipe by fungus amungus on Instructables, but this one is sugar free to be diabetic friendly because it uses Stevia instead of sucrose. You really need to read the article Gatorade Recipe because Mr. Fungus Amungus does a great job explaining the sodium, potassium and sugar ratios and cost breakdown. After creating the recipe and putting it all together, I had an original bottle of Glacier Ice Gatorade. 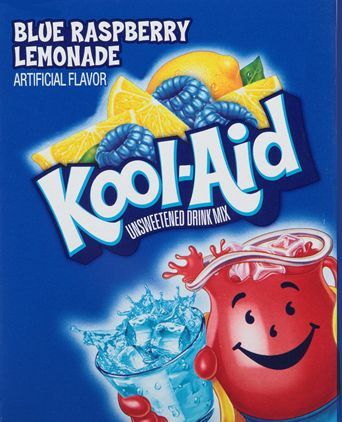 Using powdered Kool-Aid as my flavoring, a similar flavor is their Blue Raspberry Lemonade. I then used my best scientific skills to put together a taste test for my wife to compare. I call it double-blind, because I didn't know what I was doing and she didn't know what it should taste like. The results were that she liked my recipe better than the original. Hooray! Here is my recipe for a 2 quart batch which cost about $0.65 (65 cents) a quart. Using table sugar would cut that price down significantly, but would raise the carbohydrates. My recipe has about 2 grams of carbohydrates per 1 cup serving, using sugar raises that to about 15 grams per cup. In a juice pitcher add 1/2 the water. Add all the ingredients and stir. Add the rest of the water, stir again, refrigerate and serve. * 1 cup of 100% fruit juice can be used as a substitute for flavor. ** sugar or honey can be used as a sweetener substitute depending on your dietary restrictions and taste. Special acknowledgement - To my sweet wife Sandy for being a good sport, so she gets her name on the recipe too! Thank you Honey. End Note: I just realized now that my special recipe is just sugar free Kool-Aid with a pinch of salt. LOL. I'm such a nerd, but it's special to me!